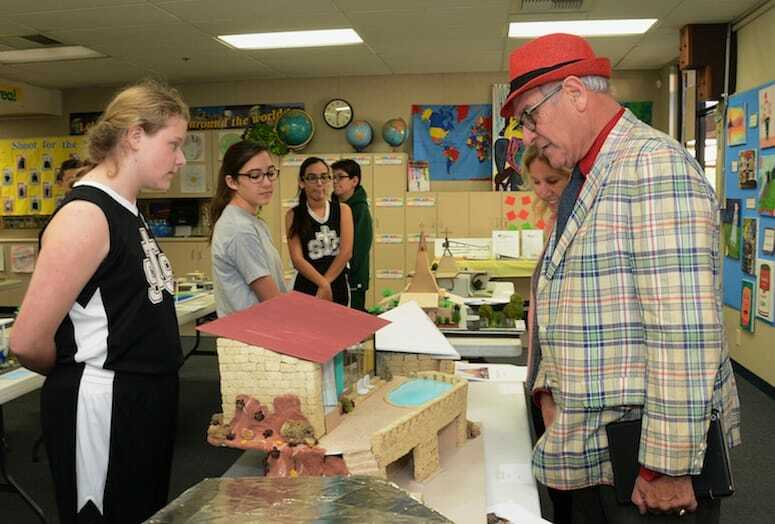 St. Theresa School students in Palm Springs share their architectural enthusiasm through models, art, and glazed tiles. Students at St. Theresa School in Palm Springs recognize they are part of the city’s rich architectural history. Each year, students make the city’s architectural heritage come alive through artful interpretations of famous architectural buildings and homes in Palm Springs. They will be on display during a free event open to the public from 1-3 p.m. Feb. 21 and Feb,. 23 at the school, 2800 E. Ramon Road. Guests must enter through the campus’ back gate. Signage will provide direction to the classroom exhibit. The sixth grade class will exhibit its remarkable models of significant Palm Springs modern architecture alongside artworks by the seventh grade based on historical or cultural midcentury events. 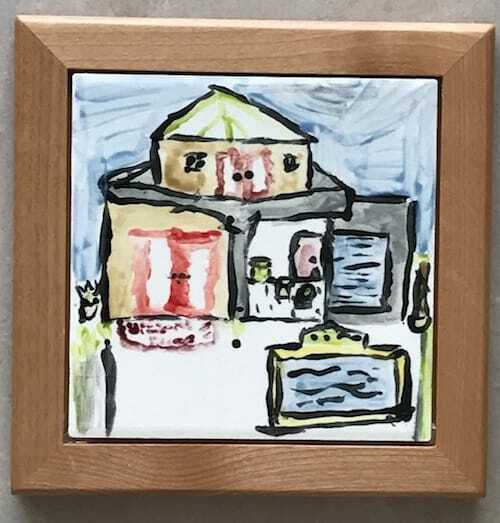 New this year is the fourth grade Tile Project, a display of hand-painted and glazed tiles transferred from drawings on paper made during a special classroom presentation introducing the class to architecture and architects. Midcentury architect William Cody designed St. Theresa Church, which was completed in 1968. Noted architecture historian and writer Robert Imber will be available to answer questions about the church architecture and the models, art, and tiles. 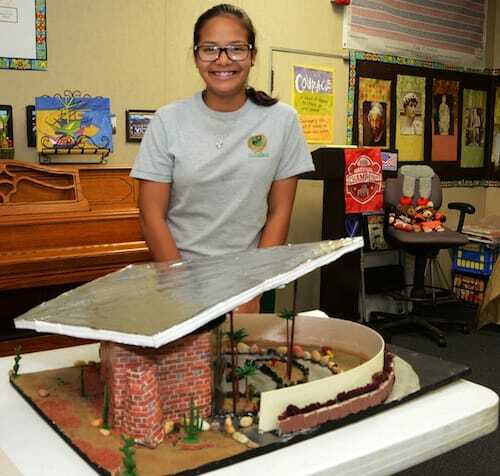 A St. Theresa School student shows her version of the former Tramway gas station designed by Albert Frey that has been repurposed as the Palm Springs Visitor’s Center. The St. Theresa Catholic School student projects were supported by a partnership with Palm Springs Modern Committee, whose Education Committee provided in-class curriculum, and arranged for a donation of educational tools on the topic of modernism including books, DVDs, maps, and a Palm Springs architectural mobile app. 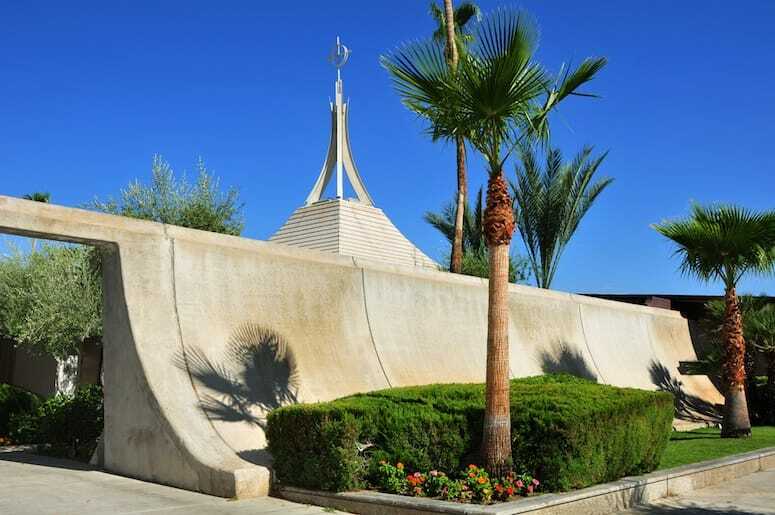 The Palm Springs Modern Committee (PS ModCom) is a non-profit dedicated to the appreciation and preservation of Desert Modern architecture and design. PS ModCom accomplishes this through education, advocacy for threatened buildings, promotion of heritage tourism, and the celebration of successes in preservation and adaptive reuse. Visit www.psmodcom.org to learn more about this organization or to join PS ModCom. An example of the Fourth Grade Tile Project. St. Theresa Church, designed by William Cody, will turn 50 in 2018.